The electronics giant’s new NFC controller chip will enable mobile phone makers to manufacture devices that support both international NFC standards and Japan’s existing Osaifu-Keitai mobile wallet service. 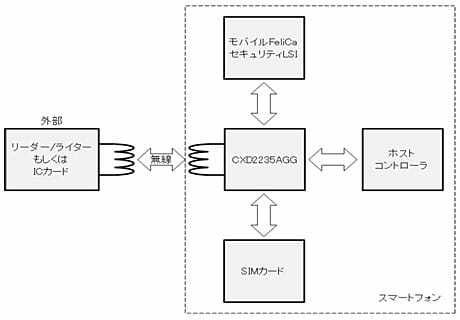 Sony has unveiled an NFC controller chip that is compatible with both NFC and its own Mobile Felica technology, the cornerstone of Japan’s widely used Osaifu-Keitai mobile wallet service. The new chip is the first on the market to provide support for both NFC and Felica and is compatible with both ISO 14443 A and B contactless technologies.”The newly developed wireless communication LSI NFC ‘CXD2235AGG’ is intended to provide technology that supports sending and receiving communication data of these three non-contact ICs, and therefore works with mobile payments terminals at home and abroad,” Sony explains. 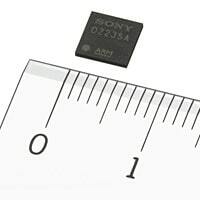 The new chips provide support for NFC SIMs, external secure elements such as microSD cards and embedded NFC secure elements as well as for Japanese standard embedded Mobile Felica chips. They also provide support for tag reading applications, which are not currently supported by Mobile Felica. The chip measures 5.5mm by 5.5mm, costs US$6 per unit in sample quantities and begins shipping this month.